Born in Red Bank, New Jersey on 21 August 1904, Bill Basie took piano lessons at a young age, but his first thought was to become a drummer; fortunately the piano won him over and he was soon studying the greats: Willie 'The Lion' Smith, James P. Johnson and Fats Waller. Almost inevitably he started out as a stride pianist – a swinging left hand as it 'strides' up and down the keyboard. 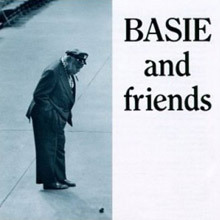 Basie began by playing in touring bands, ending up in Kansas City in 1927 where he decided to settle. He was briefly a member of Walter Page's Blue Devils, as well as Bennie Moten's Orchestra, the band with which Basie first recorded in October 1929. He stayed with Moten until 1935 when the bandleader died; for a glimpse into the emerging style of Basie and just how good the Moten band was, 1932's 'Moten Swing' is wonderful. The band included both Hot Lips Page and Ben Webster. Striking out on his own, Basie formed a nine-piece band, The Barons of Rhythm; among its number was Lester Young. The following year he recorded as the Count Basie Blues Five, with Jimmy Rushing on vocals, before he finally settled on Count Basie and his Orchestra in January 1937. It was probably while the band had been broadcasting on radio shortly before this that the announcer called Basie 'Count', and the name stuck. By now he was basing himself in New York and with Walter Page in the band, along with Lester Young, Buck Clayton and Jimmy Rushing, he had a superb unit. He signed for Decca and the first sides the Basie Orchestra cut were in January 1937 and they showcased the Count's piano style. While retaining elements of the stride style with which he had grown up, he was now playing with fewer notes that gave the arrangements more 'air', creating what became his trademark style. A few months earlier, he had recorded for Vocalion using the pseudonym Jones Smith Incorporated as he had already signed for the Decca; among the tunes was 'Oh Lady Be Good', featuring Lester Young on his first session. A few months later the band was back in the studio, and with them for the first time was a guitarist whose playing of chords across the beat would do so much to make them swing and help define what we know as the Basie sound. This was Freddie Green, and over thirty years later he was still there doing his very particular thing. Green was just one of many sidemen who made the Basie band the epitome of a swinging jazz ensemble. In July 1937, Basie came up with a new tune, 'One O'Clock Jump', which it became a hit as well as becoming the band's theme for many years. Over the years Count Basie revisited his tune on numerous occasions, reinventing it and making it one of the best-known pieces in big-band jazz. For a while in 1937 the Basie band also worked with Billie Holiday, recording 'They Can't Take That Away from Me' at the Savoy Ballroom in New York City. Basie's band was regularly on the radio and was heard coast to coast, making them one of the most popular bands in America for the next decade. While the band did change personnel to continually improve its sound, Basie held onto the key members for longer periods than most. It was certainly a band that seemed to enjoy being together as much as they enjoyed playing together. Basie was a good leader and gave his band the environment in which to flourish as musicians, as well as to have fun doing it. Basie' love of laughter was legendary, and as many have commented over the years that he was also a gentleman. Key to the band's success was the Basie rhythm section. Besides Basie's light and airy piano and Freddie Green's guitar there was Walter page's bass and the sensitive drumming of Jo Jones. Basie regularly referred to Jones as the 'boss', the head man in the band. Jones' use of the hi-hat rather than the bass drum to keep the beat 'lightened' their sound – there's no doubt that the Basie band made jazz more accessible to people who perhaps didn't realize they liked jazz. By 1950, things in the big-band business were not good and Basie called it a day. For two years he had an eight-piece band, but then in 1952 he resurrected his orchestra, unofficially calling it the New Testament band. He also recorded with Norman Granz's Clef label for the first time – it was a session with tenor saxophonist Illinois Jacquet on which some of the Basie stalwarts played and Count played the organ. Shortly afterwards, he did sessions for an album called The Swinging Count (1956) and throughout the 1950s and '60s he did many sessions for Verve. Among the best were sessions with singer Joe Williams in 1955 that were captured on the album, Count Basie Swings - Joe Williams Sings, and another later in the summer for the album that became April In Paris (1956). Check out The Complete Clef & Verve Fifties Studio Recordings for a fantastic view of an American legend at his peak. He became, along with Armstrong and Ellington, one of the few jazz players to gain a wide-ranging level of recognition around the world. In 1954, he made the first of many visits to Europe and three years later Basie played London's prestigious Royal Festival Hall; he was so good at the Royal Festival Hall that Princess Margaret who went to see his 6 p.m. show went back to see him again at 9 p.m. The Basie band's secret weapon during the 1950s was Neal Hefti who did most of the arrangements. He had played trumpet for Woody Herman's band and later worked with Frank Sinatra, and had his own band as well as composing the Batman theme. According Miles Davis, "If it weren't for Neal Hefti, the Basie band wouldn't sound as good as it does. But Neal's band can't play those same arrangements nearly as well." Basie always surrounded himself with the most talented people. 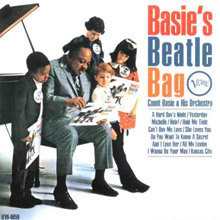 Among his sixties recordings are Basie's Beatle Bag and a superb album with Ella Fitzgerald, A Perfect Match. By 1962, the Basie band, as well as performing and releasing albums on their own, began a relationship with Frank Sinatra that lasted four years. In October the two legends went into the studio in Los Angeles for three days to work on a new album. On entering the studio Sinatra said: "I've waited twenty years for this moment." Somewhat appropriately the first song they did together that day was 'Nice Work If You Can Get It'; it's classic Sinatra, made perfect by Basie and a great Hefti arrangement. When the album, simply called Sinatra–Basie, came out in early 1963, it sold better than anything the singer had done for several years. They also recorded It Might As Well Be Swing (1964), and after Sinatra and Basie played the Newport Festival in 1965 they were booked into the Sands in Las Vegas – their show was recorded and released as Sinatra At The Sands (1966). It's been called the definitive portrait of Sinatra in the 1960s; it's true, but it's likewise a great window on the Basie band. The Basie band kept working into the 1970s, with the Count in his yachting cap that he had adopted in the 1960s, but his age and changing fashion eventually caught up with him. Count Bill Basie died in Hollywood on April 26 1984. His legacy is enormous. He may well have introduced more people over several generations to the sound of big bands than any other bandleader – and by definition he introduced so many to jazz. Accessibility was key to his enduring appeal, but so was his ability to keep a great band together through his consideration for his fellow musicians and, in turn, the affection in which everyone held Count. Today there's no band that plays 'April in Paris' without the musicians thinking of the man who just loved to swing. 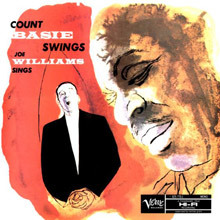 Joe Williams' debut as the featured vocalist in Count Basie's band was one of those landmark moments that even savvy observers don't fully appreciate when it occurs, then realize years later how momentous an event they witnessed. Williams brought a different presence to the great Basie orchestra than the one Jimmy Rushing provided; he couldn't shout like Rushing, but he was more effective on romantic and sentimental material, while he was almost as spectacular on surging blues, up-tempo wailers, and stomping standards. Basie's band maintained an incredible groove behind Williams, who moved from authoritative statements on "Every Day I Have the Blues" and "Please Send Me Someone to Love" to brisk workouts on "Roll 'Em Pete" and his definitive hit, "All Right, OK, You Win." At the 1957 Newport Jazz Festival, the music was consistently inspired and often historic. 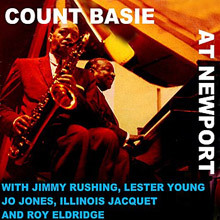 Count Basie welcomed back tenor great Lester Young and singer Jimmy Rushing for part of a very memorable set highlighted by "Boogie Woogie" and "Evenin'"; Young plays beautifully throughout and Rushing is in prime form. 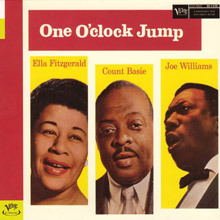 An exciting full-length version of "One O'Clock Jump" features Young, Illinois Jacquet, and trumpeter Roy Eldridge; the Basie band stretches out on "Swingin' at Newport"; and five previously unreleased selections (put out for the first time on this CD) include four Joe Williams vocals. It's a great set of music. One of the staples in the Count Basie discography, April in Paris is one of those rare albums that makes its mark as an almost instant classic in the jazz pantheon. April in Paris represents the reassembly of the original Count Basie orchestra that define swing in the 1930s and 1940s. The title track has come to define elegance in orchestral jazz. Though only ten tracks in its original release, seven alternate takes have now been incorporated into Verve's re-release of the original session tapes. Other key tracks include "Corner Pocket" and "Magic," both of which are also featured in the alternate takes. 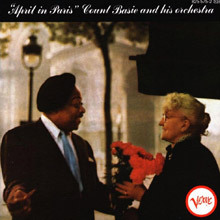 Recorded in 1955 and 1956, April in Paris proved Count Basie's ability to grow through modern jazz changes while keeping the traditional jazz orchestra vital and alive. The Count and his orchestra tackle the music of the Fab Four, without any hint of condescension or lassitude. Indeed, the 11 songs by John Lennon and Paul McCartney and one ("Kansas City") by Leiber &amp; Stoller are treated with the same kind of dignity and enthusiasm that the band would give to the likes of Johnny Mercer or Harold Arlen. "Kansas City" is the bluesiest number here, and the one with which the band is obviously the most comfortable -- it's the only number here that could have appeared, as is, on any Basie album of the previous decade. But "Michelle" is the best track here, a gently swinging rendition in which Basie's piano is featured in some pleasing flourishes and the band slips into a satisfying groove. The rest also comes off well -- the ballads fare the best, showing off the quieter side of the band, stretching out and luxuriating on pieces like "Do You Want to Know a Secret." Basie and company also rise to the occasion on rockers like "I Wanna Be Your Man" and "Can't Buy Me Love," taking big bites out of the beat and the principal melodies with some hot ensemble playing and solos. In the end, the songs and the band are both well served by Chico O'Farrill's arrangements, which manage to maintain the familiar and emphasize some surprises. Even "Yesterday," the most over-recorded of the Beatles' songs, comes off fresh, with a moving jazz vocal treatment from Bill Henderson supported by Basie's engaging organ fills and a quietly soaring trombone and sax section. The band romps, and the soloists, in addition to Basie, include Eddie "Lockjaw" Davis and Al Grey. This recording could be considered a near-sibling to April In Paris, since several of its tracks date from sessions out of the same month. Others overlap with material cut for The Greatest! Count Basie Plays . . . Joe Williams Sings Standards, and it isn't as compelling a record, either as a Joe Williams vehicle or a Basie showcase, as either of those, though it does have its moments, most notably the original finale, Arranger Ernie Wilkins' "From Coast to Coast," an 8½-minute blow-out; the Ella Fitzgerald-Joe Williams duet on "Too Close For Comfort," and the title track, rearranged by Wilkins but close to the classic rendering, which features lively solos by Frank Wess, Benny Powell, Frank Foster, and (especially)Joe Newman and Henry Coker. Williams is the dominant presence on the album, singing on seven of the original 10 tracks, and his presence is a bit of a drag on some of the proceedings, especially "Only Forever." His work with Basie from this era is better represented on Count Basie Swings, Joe Williams Sings, although he and the band acquit themselves very well here on "Stop, Pretty Baby, Stop," where all hands are firing on all cylinders at once for a change. The bonus tracks include a heavier, punchier outtake of "One O'Clock Jump" featuring the same soloists, plus a Williams-solo version of "Too Close For Comfort." The CD is a good package, with superb sound, though some historical notes would've been nice to put the sessions in perspective. A handy mid-priced reissue. Ray Sings, Basie Swings, huh? Hmm, well, yes and no. You see, the story goes something like this. In 2005, Concord Records exec John Burk, who produced Ray Charles' superb late-career, Grammy-winning Genius Loves Company, found a reel of tape simply labeled "Ray/Basie." Upon further analysis, it was determined that the 1973 recording featured Ray Charles backed by his own band -- Count Basie and his band had actually recorded earlier that day. Charles' vocal was exceptionally prominent in the mix and at first it was thought that this potentially momentous discovery would prove unable to bear fruit. But then Burk brainstormed and decided to bring the current Count Basie Orchestra -- whose leader died in 1984 -- into the studio to lay tracks behind Charles' vocals. 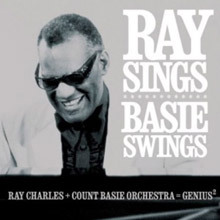 So there's no Basie on Ray Sings, Basie Swings, but that's merely a technicality, because there is some great music. Charles was in fine form vocally on this mix of remakes of his early ABC-Paramount-era hits and then-recent material. The consecutive reworkings of "Busted," "Cryin' Time," and "I Can't Stop Loving You," three of his defining Top Ten hits of the early '60s, are given brassy, bluesy treatments here, and standards ranging from Oscar Hammerstein II's "Oh, What a Beautiful Morning" to the Beatles' "The Long and Winding Road" are transformed in Charles' hands. The set-closing "Georgia on My Mind," as close to a signature song as Charles had, is given a tender, minimalist reading, but the track preceding it, "Look What They've Done to My Song, Ma," picked up from the folk-pop singer Melanie, is quite possibly the album's highlight. It's appeared on other Ray Charles compilations before, but the gospelized, testifyin' version featured here has got to be the liveliest take on that song anyone's ever devised. So, yeah, there's no Count Basie to be found here, but his namesake orchestra does him proud. For one of those postmortem studio patch jobs that owes as much to technology as talent, it's a fine addition to the Ray Charles oeuvre, as long as one can get past the semi-false advertising of its title. The eight CDs that make up this collection document the second rise of Count Basie's big band. The second band had been created at the urging of Billy Eckstine, who convinced Basie that even though the era of the large jazz-swing orchestra -- an era he was an architect of -- was by all appearances over, he could make a real go of it with his brand of blues and swing. Basie was initially skeptical, but agreed when he was offered other supporting opinions from the likes of Norman Granz and Willard Alexander. He set out to create an orchestra that was not as susceptible to personnel changes, and initially featured the charts of Neal Hefti and Nat Pierce, and later those of Frank Foster and Johnny Mandel, among others. The band began recording for Clef in 1952. They recorded for Verve during the same period, and issued a few sides for Mercury as well; all in the space of five years, until 1957. Paul Quinichette emerged as an outstanding soloist in this band, as did Eddie "Lockjaw" Davis, Marshall Royal, Frank Foster, and Thad Jones. It also marks the period when Joe Williams began his tenure as vocalist with the Count. 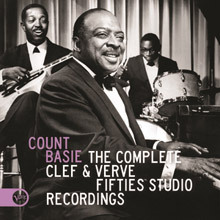 The 146 recordings here, on The Complete Clef/Verve Count Basie Fifties Studio Recordings, include the A- and B-sides of 16 EPs, most of which were taken from three 10" LPs and 17 long-players, as well as from extended-version CDs. In addition to the complete issued recordings there are seven previously released alternate takes. Sound is reproduced to a very high standard -- especially given the source limitations of some of the masters. Furthermore, the extensive liner notes are typical of Mosaic's excellence, and were written by Chris Albertson. This one is limited to 10,000 copies. This group of arrangements exemplifies the characteristics that made this band so great. Basie's piano 'less is more';Basie 'use all of your talented musicians';'it doesn't have to be loud';and also; 'the best big band rhythm section in the business'. No doubt the efforts of the talented arrangers such as Neal Hefti, Qunicy Jones, Sammy Nestico, and Ernie Wilkins had a strong impact on the 'cool' New Testament band sound. 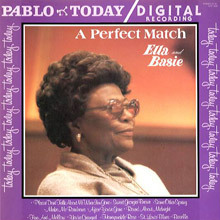 Although Count Basie gets cobilling with Ella Fitzgerald on this concert recording from the 1979 Montreux Jazz Festival, the veteran pianist is only on the final of the 11 songs. His big band, along with pianist Paul Smith, backs the veteran singer for a set of standards and, although Fitzgerald was beginning to fade, she could still hint strongly at her former greatness. Highlights include "Sweet Georgia Brown," "'Round Midnight" and "Honeysuckle Rose." 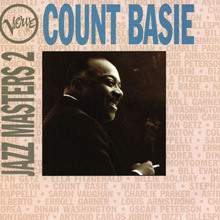 Verve Jazz Masters 2 focuses upon the music made by Count Basie and his orchestra between January 1952 and April 1962 (with most of the material dating from the year 1956), drawn from the Mercury, Clef, and Verve albums Count Basie and His Orchestra Collates, The Band of Distinction, April in Paris, The Swinging Count!, Basie Rides Again!, Count Basie at Newport, and Lil' Ol' Groovemaker After scaling his ensembles down during a period of widespread postwar big-band dissolution, Basie put together a powerful team that essentially reinvented the big-band format at a time when Duke Ellington was accomplishing similar triumphs in his own manner. Champion participants include Joe Newman, Charlie Shavers, Thad Jones, Frank Foster, Frank Wess, Lockjaw Davis, Lester Young, Paul Quinichette, Jimmy Rushing, and Joe Williams. This is a magnificent sampler of great big-band jazz from Basie's third decade as a leader. It closes with a smokin' nine-minute jam on the "One O'Clock Jump" recorded live at the Newport Jazz Festival on July 7, 1957. A good solid dose for those who don't possess Mosaic's Complete Clef/Verve Count Basie Fifties Studio Recordings.